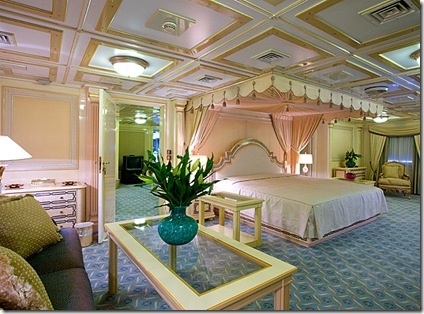 Super luxury yacht Qadissiyat Saddam built in 1981 for Iraqi leader Saddam Hussein never joined his personal fleet. 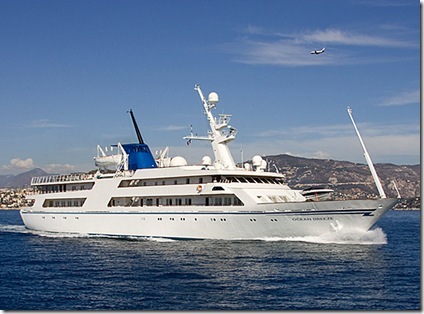 It is believed that Saddam, who had close links with the Saudi regime, kept Qadissiyat Saddam in Saudi Arabia for safety as Saddam Hussein had another Yacht Al Mansur in Iraq. Al Mansur was bombed by Anglo-American forces during the Iraq War of 2003, but “Qadissiyat Saddam” was saved. 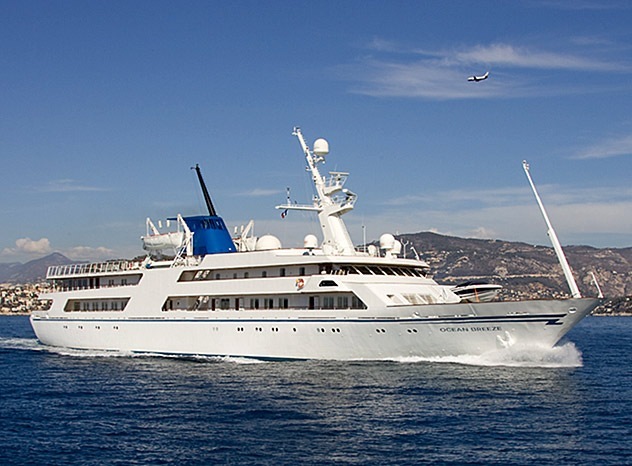 The yacht Qadissiyat Saddam was moored in the Saudi port of Jeddah for 10 years and later renamed as Al Yamamah to join the Saudi Arabian Royal Yacht . 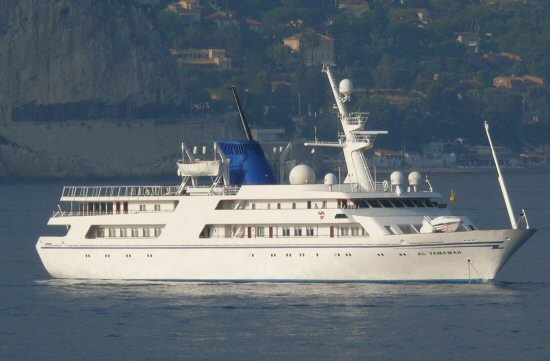 Now further name has been changed as Ocean Breeze and is moored off Nice, France for sale with an asking price of 23.5 million euros, ($34mn). It is decorated throughout with fine mahogany, gold, silver and marble, and was described by its builders as “lavish in every detail and very Arabic in style”. The décor included Arabesque arches, dark wood carvings, deep-pile carpets, and loose rugs woven in Islam’s holiest cities. 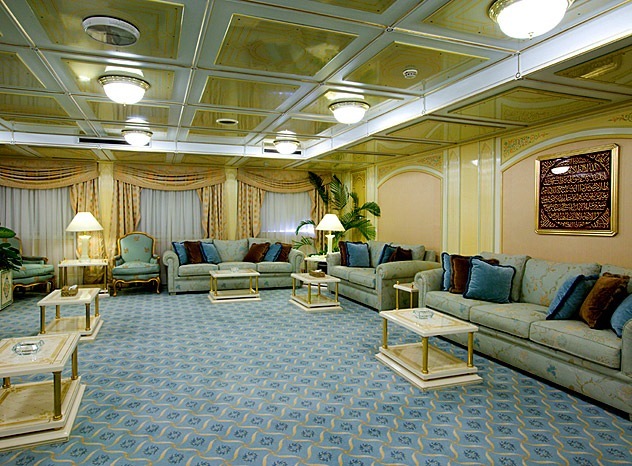 In addition to typical Muslim features, including prayer rooms and ornate fountains, the specification was much the same as super-yachts owned by millionaires the world over. There are bathrooms with gold taps, Jacuzzis, steam rooms, hi-tech entertainment suites and games parlours, including table tennis and pool tables, and flat-screen TVs in almost every cabin. With banquets in mind, there is silverware for 200 people. 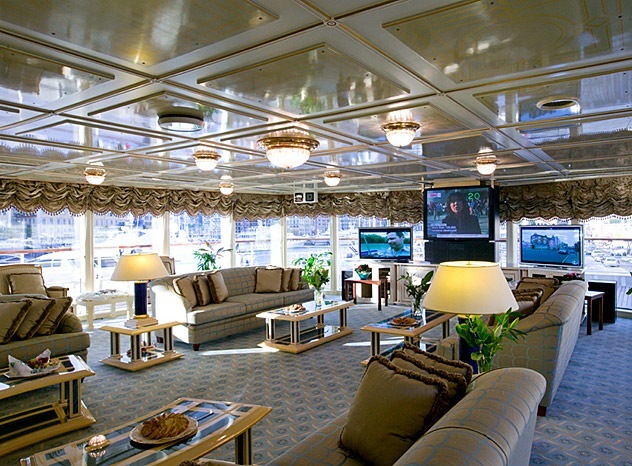 But as the yacht was intended for Saddam’s private use, it can sleep only a relatively modest 28 people. There is a helicopter pad and a health clinic, complete with a mini-operating theatre. Security measures include a secret passage which would have allowed Saddam to get to a fast boat in case of trouble. A mini-submarine pod is also connected to the passage. The vessel’s 35-man crew was on standby 24 hours a day, all year round. It has storage for heavy machine-guns and surface-to-air missiles. 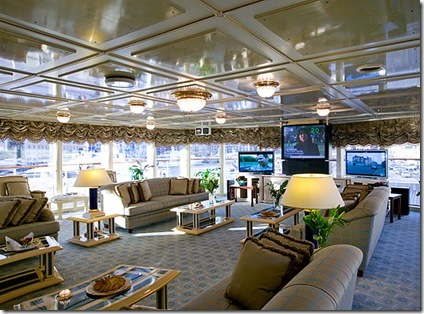 All of the glass on board is bullet-proof. When the yacht was built, all of the workers involved were sworn to secrecy, signing gagging orders. 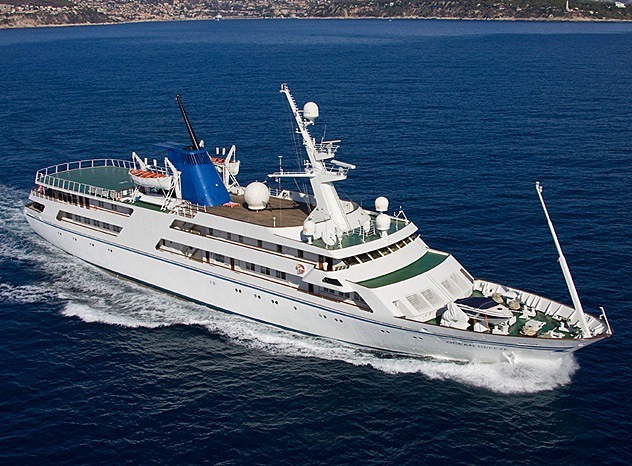 Broker Burgess London is inviting offers around £17 million for Ocean Breeze. French court has refused to lift a freeze on the sale of super yacht that was imposed in January, 2008 due to controversy over its ownership. Read more from marinecommunity. Here is an interesting video clip of Ocean Breeze. 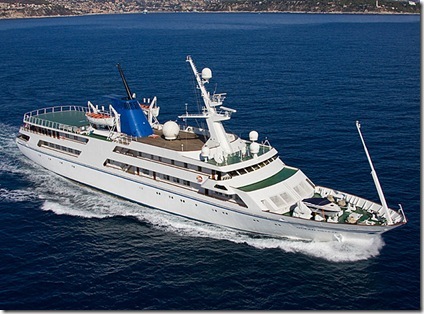 The legal battle regarding the ownership of the Yacht is over and now Iraqi government is the owner of the Yacht. 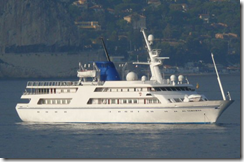 Further the Yacht has been renamed as ‘Basra Breeze’ and is now believed to be somewhere in Greece. The Yacht has come up again for sale. Read more from Sail World.